2012 Coming Soon! You are invited to join us! 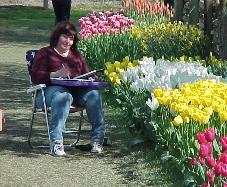 The next Iris Garden Paint-out is June 1, 2, 3, 2012 Register early!